Discover the beauty of ClearView Retractable Screens for doors and windows. ClearView utilizes the technology of roll-up blinds, updated and advanced to work vertically or horizontally for both door and window applications. ClearView manufactures the screens with a durable, lightweight aluminum housing that protects the screen material when not in use. Within the housing, the screen anchors to an aluminum tube with a tension control device. ClearView has patent pending anti-slam devices that insure doors retract fully without danger of trapped fingers or a “slamming” return. 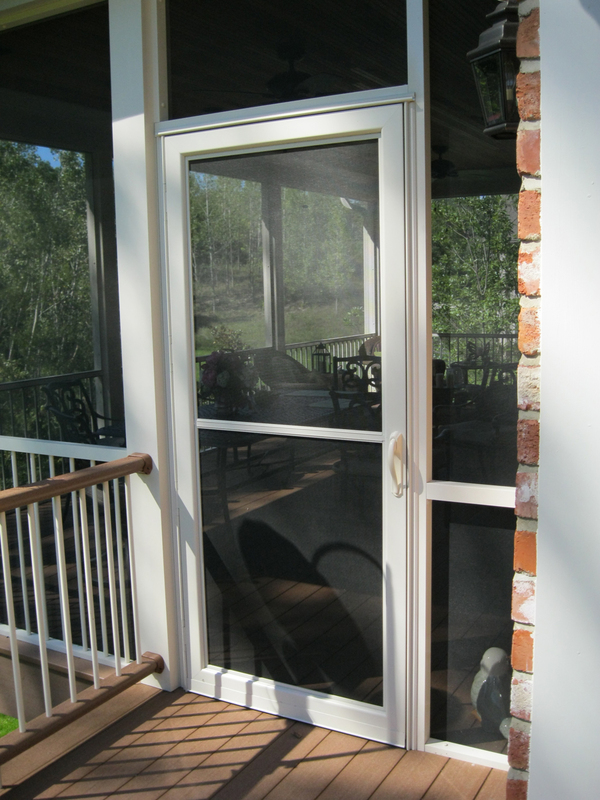 Retractable screen door systems fit your application for a single door, double French doors, and sliding doors (all three are shown below.) 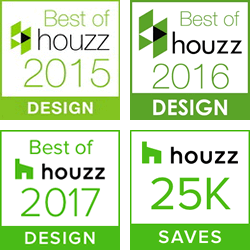 They provide a superior solution to any product in the market today. ClearView Retractable Screens custom manufactures their screen systems in the U.S.A. to fit precisely on your doors, windows, patio, and virtually any other opening suitable for screening. They are there when you need ventilation and stow away out of sight when you do not. ClearView retractable screens are so unobtrusive in design, they can mount on the interior or exterior of your home and still remain nearly invisible. Heartlands takes pride in representing the Gerkin line of storm and screen doors. 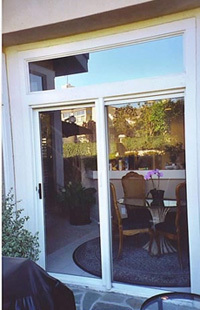 Gerkin storm and screen doors are made in the U.S.A. and produced with only powder coated, extruded aluminum. When you install Gerkin storm and screen doors, you get their warranty. You are also given lifetime hinges, a foam insulated frame, aluminum clad kick panels, and an adjustable sill expander for a tight seal at the threshold. Heartlands provides installation of storm and screen doors, window screens, and screen repair services. Our trained and dedicated members of The Screen Team® can be reached at 636-728-0003. Heartlands provides custom repair and replacement service for window and door screens as well as screen room panels. Give us a call for an estimate to repair or replace one screen or all the screens on your house.